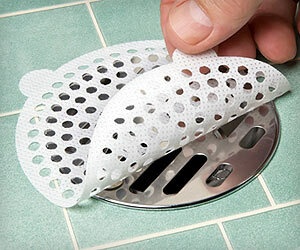 Is fallen hair clogging sink and shower drain pipes? Prevent this problem using disposable peel and stick hair traps. Just stick them to trap hair and peel away to throw dirty ones after use.